Kettlebell Challenges is a new website currently in development. It was launched in September 2011. 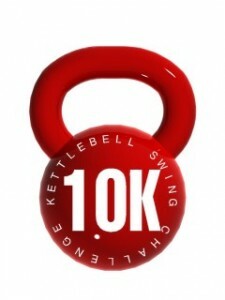 I participated in a 10,000 Kettlebell Swing Challenge. Normally those participating in such a challenge would keep track of their progress on their own. Now with Kettlebell Challenges, those interested in completing this, or other kettlebell challenges, can log and earn a badge for their website, Facebook profile, or blog. Kettlebell Challenges is constantly being updated with new features. Check it out today and do something hard.